A fresh, tender and loving story between two otherwise normal people laboring with extremely difficult circumstances. Eddie Redmayne labors on two fronts; trying to love a woman as a normal man while managing descent into a debilitating disease. He succeeds on both fronts simultaneously, masterfully effecting musculoskeletal deformity much as Daniel Day-Lewis did in My Left Foot (1989). The film handles the delicate issue of adult sexual needs in the face of physical disability elegantly, as this issue eventually broke up this couple’s marital bond but not their relationship. That the real Stephen Hawking managed to carry off anything resembling a “normal” life to his current age of 73 after having been given 2 years to live in graduate school is a bit of a story in itself. Hawking has said that in a perverse way, his affliction (ALS) was lucky in that his cognitive brain was not affected and that’s basically all he uses. He’s quite possibly the most intuitive cosmologist (not cosmetologist) that ever lived; his signature resides on the rolls of the Cambridge Lucasian Professorship of Mathematics, the first signature on which is that of Sir Isaac Newton. Hawking is more or less famous for his search for the Grand Unified Theory of the physical universe, a single equation that convincingly explains the physical properties of existence. Combining mutually incompatible features of Einstein’s theory of General Relativity and Quantum Physics. Were this to happen, man would understand the mind of God. An enormity of incomprehensible proportions. (Taken from Wiki): “Freeman Dyson has stated ……………that pure mathematics is inexhaustible. No matter how many problems we solve, there will always be other problems that cannot be solved within the existing rules. No matter how many problems we solve, there will always be other problems that cannot be solved. Stephen Hawking was originally a believer in the Grand Unified Theory but (has recently) concluded that one was not obtainable”. The film explores the human relations aspects of Hawking and his first wife Jane and does so masterfully. 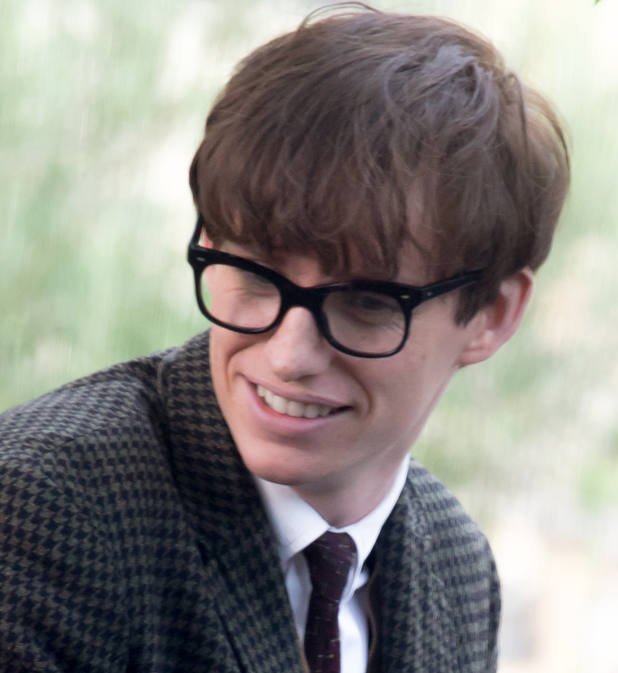 Eddie Redmayne is already buzzed for an Oscar. Felicity Jones as Jane puts in a guaranteed Academy Award nomination performance as well.